The Lake Tahoe Bicycle Coalition now offers the first online bike map showing the Lake Tahoe region’s regularly snow-plowed bike trails. 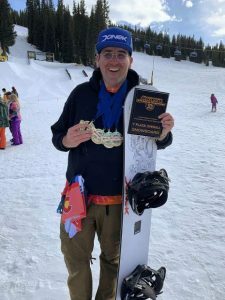 People searching for a plowed bike route can now toggle a special seasonal layer in the nonprofit organization’s interactive bike map, available online at tahoebike.org/map. Many of Tahoe’s local jurisdictions clear snow from their shared-use paths, typically after they have completed plowing local roads. The plowed path data on the Bike Coalition map is not real-time data, but is a list of the paths each jurisdiction intends to plow during snow events. 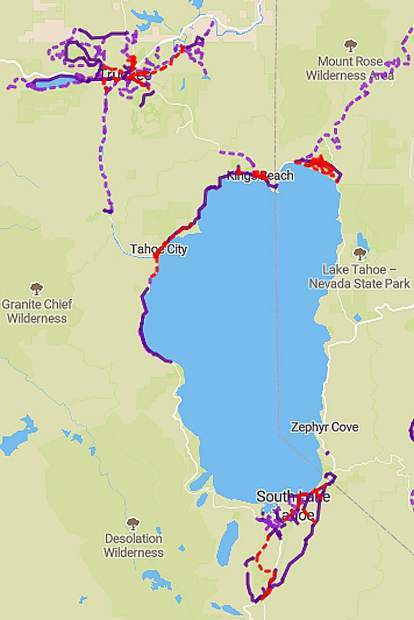 The online Tahoe Bike Map is one of the Lake Tahoe Bicycle Coalition’s projects as part of its mission to make Tahoe more bicycle friendly. 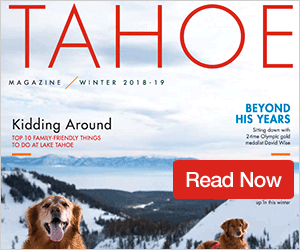 The all-volunteer nonprofit also produces the free print version of the Tahoe Bike Map, available at bike shops and visitor centers throughout the region.